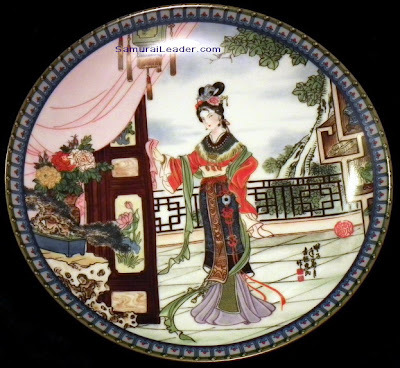 Jingdezhen (景德镇) is known as the " Porcelain Capital ", or the town where porcelain artists have been producing fine Chinese Porcelain for almost 1700 years. 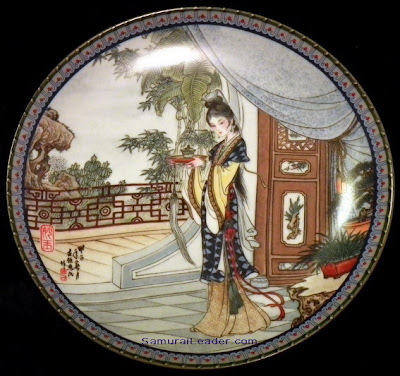 Located in the Jiangxi province of China, it is one of the Chinese places full of history and museums: Ceramic Museum, Ceramic Historical Exhibition Area, Porcelain Street and ancient kilns. 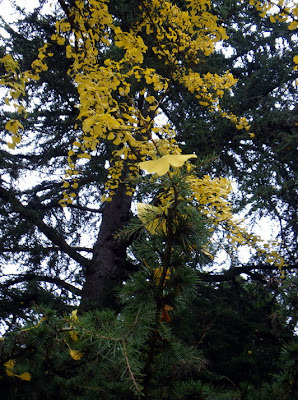 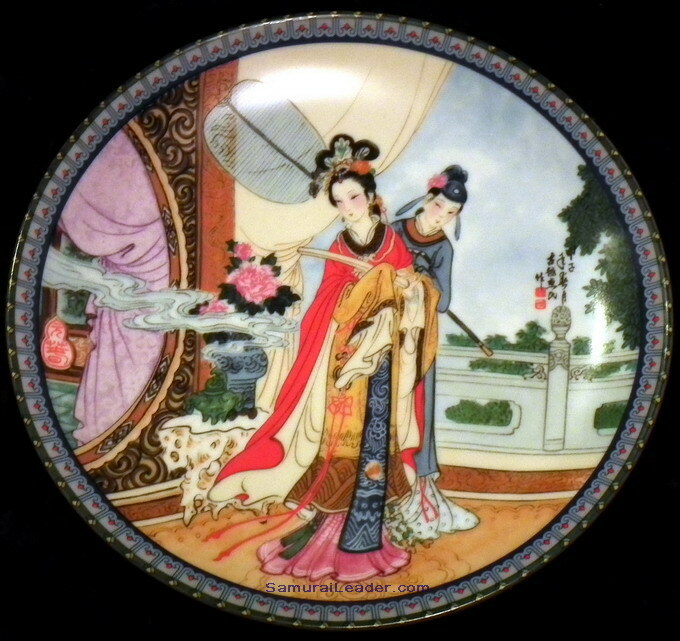 In the mountains surrounding the town are large deposits of porcelain stone and white kaolin (the word kaolin derives from 高陵/高嶺/ the Gaoling / Kao-ling hill located 40 km of Jingdezhen where the pure white clay was first found), which have led to the development of pottery and porcelain producing industry over the years. 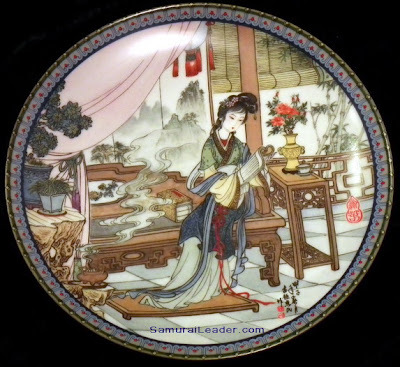 The convenient water transportation of the products with boats from Chang River to major seaports made more accessible their products on the international markets. 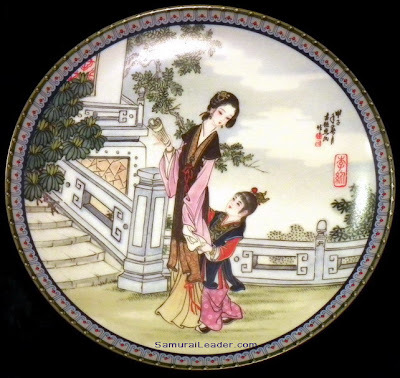 The ceramic industry in Jingdezhen flourished during the Yuan dynasty (1280-1368) when the official kilns started to use the technique of painting with iron black oxides before glazing. Later, during Ming Dynasty (1368 - 1644) and the Qing Dynasty (1644 - 1912) based on the imperial request to make thousands of porcelain pieces for imperial household, were developed many official or private kilns in Jingdezhen area. 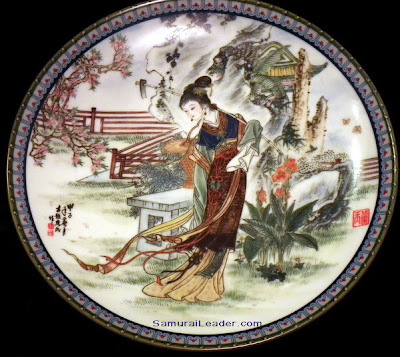 Nowadays, on the collectibles and antiques markets, can be purchased a wide variety of Jingdezhen Porcelain Products like vases, sculptures, plates and vessels which are much valued. Even the contemporary products are very expensive because of their high quality and the detailed paintings. 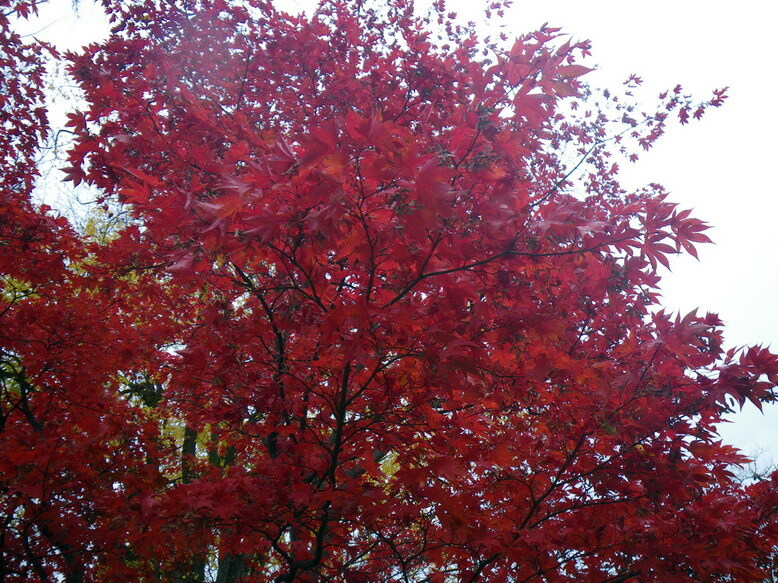 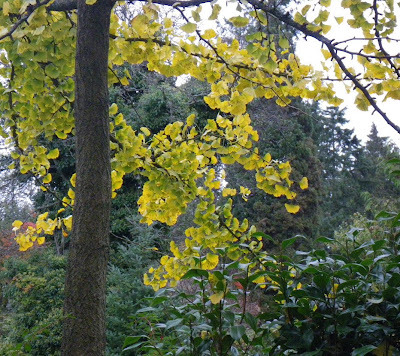 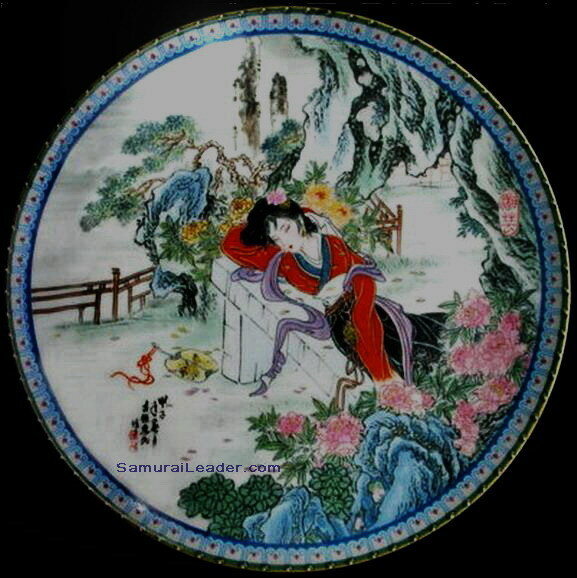 Well known contemporary manufacturers are: Imperial Jingdezhen Porcelain, Imperial Ching-te Chen or Ketsuzan Kiln. 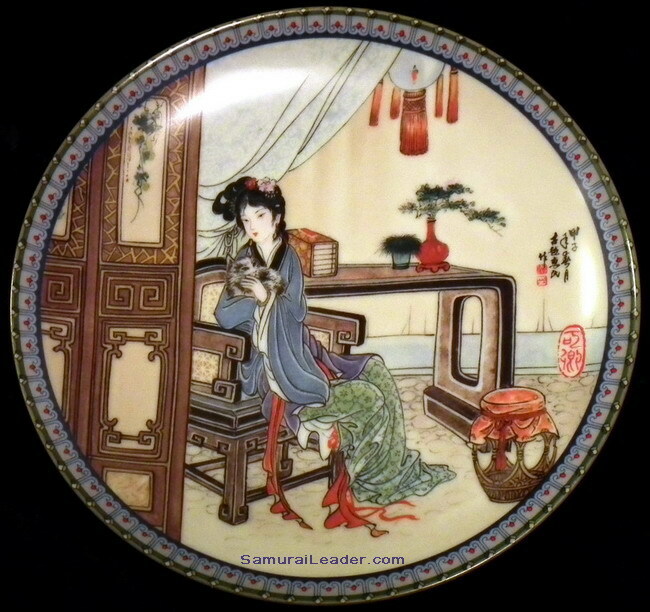 Their high quality products are made in limited editions and usually have certificates of authenticity. Artists as Zhao HuiMin, Zhang Song Mao, Yoshiharo Katoh are painting with dedication porcelain collections with scenes from traditional tales. 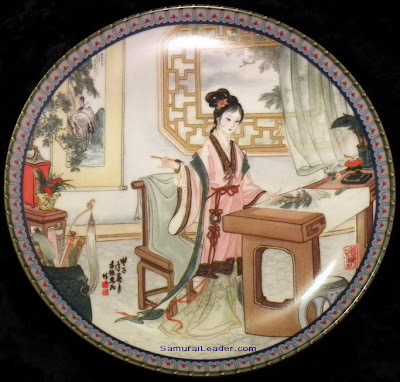 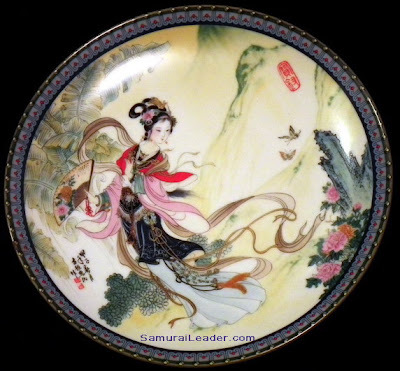 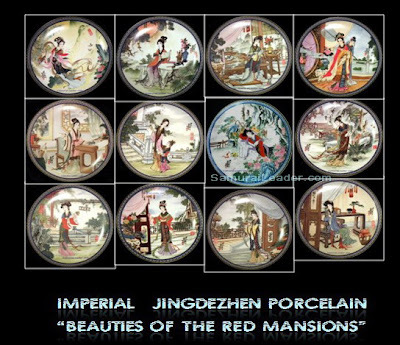 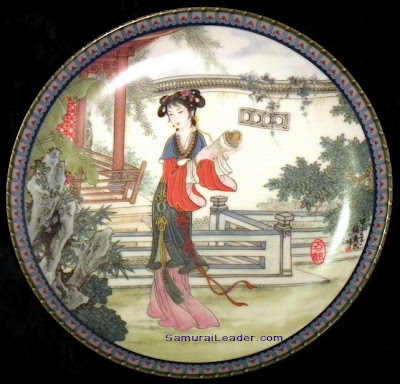 One of my "Imperial Jingdezhen Porcelain" collection contains plates painted by Zhao HuiMin with themes inspired by one of the Four Major Classical Novels (四大名著) named 红楼梦 or " Dream of the Red Chamber" or "A Dream Of Red Mansions". 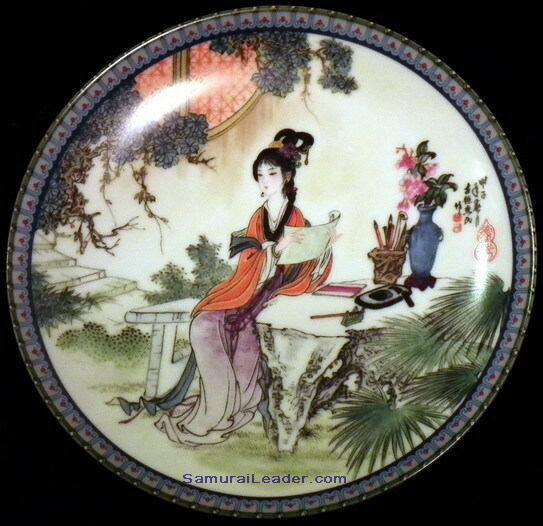 There are 12 decorative plates made between 1985-1989 with 8.5'' diameter with Chinese notation on the front and the back, registered through the Bradford Exchange. The Bradford Exchange was founded in 1973 by J. Roderick MacArthur in Chicago, Illinois as a computerized trading center for limited-edition collector's plates.